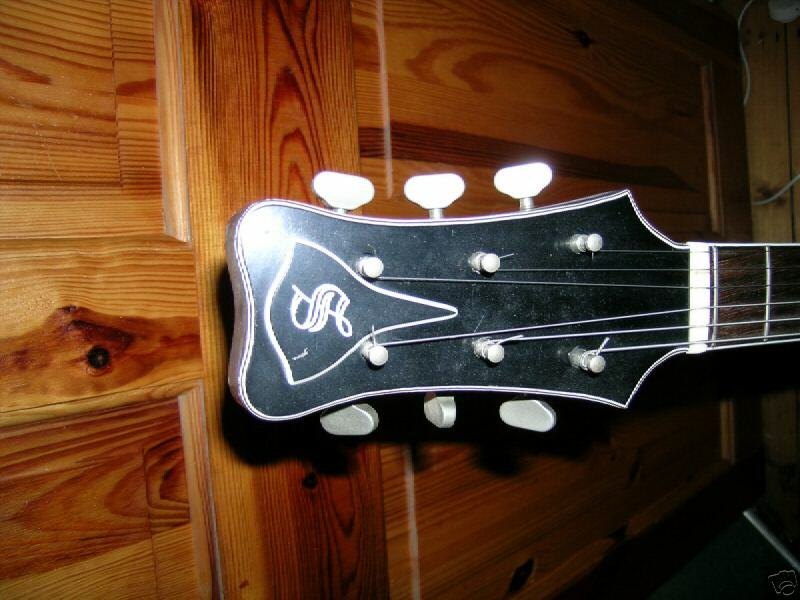 This six-string solid was built by Shergold (Woodcrafts) Ltd., the company started in the latter '60s by ex-Burns man Jack Golder, who called this particular double-cutaway design his 'Pie Crust' model. 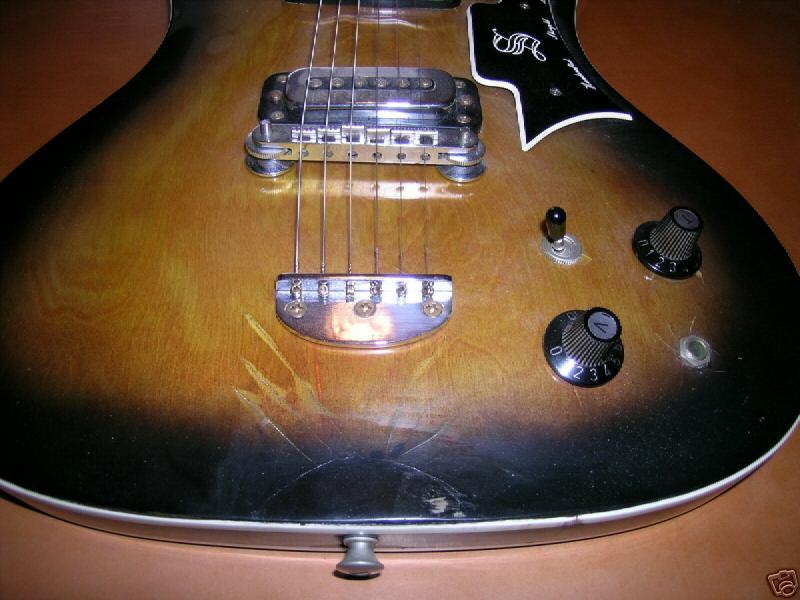 The nickname alludes to the heavily indented edge around both front and back of the body, the visual end result being similar to the 'German Carve' construction employed on instruments from makers such as Mosrite and Rickenbacker. 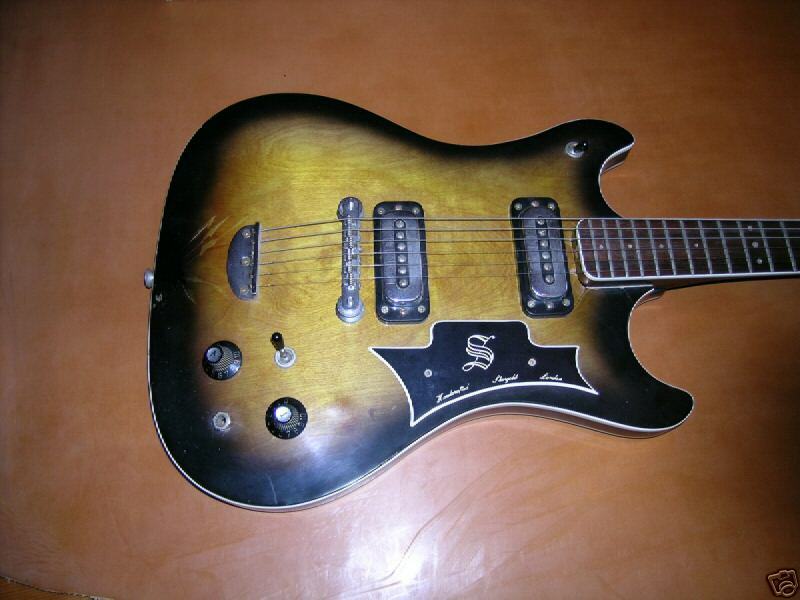 The guitar was made in 1968, prior to the company building bodies and necks for Dallas Arbiter's Hayman range. 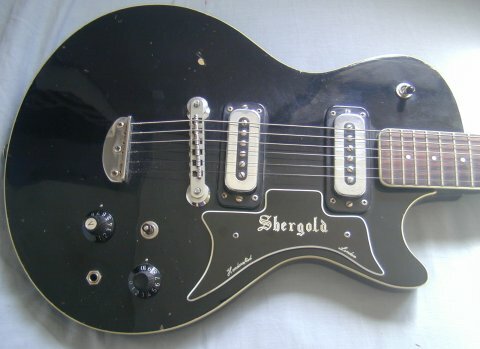 In suitably modified form, the latter subsequently provided the basis for the best-known Shergolds, but before these appeared Golder was exploring other ideas on electric guitars, including a twin-cutaway semi-solid and also the Les Paul-influenced Triumph marketed by UK distributors Rosetti & Co. 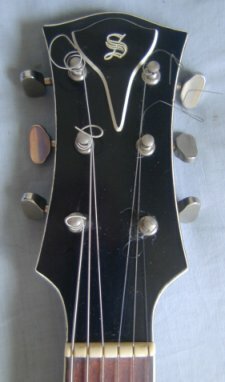 The SG2 shared various features with these other late-'60s Shergolds and components common to all three included their Dutch-made Van Gent machine heads, as employed on earlier Burns/Baldwin instruments, likewise a free-standing, six-saddle bridge, the latter being partnered by a somewhat basic, bent metal string anchor. 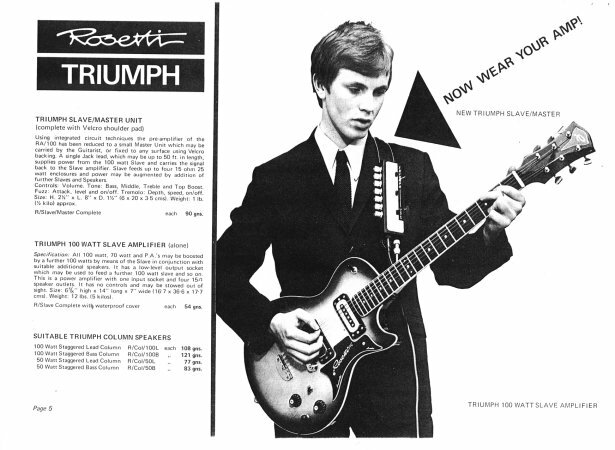 The rosewood fingerboards also came courtesy of surplus Burns/Baldwin stock, while the stylish strap buttons had similarly been used by both brands. 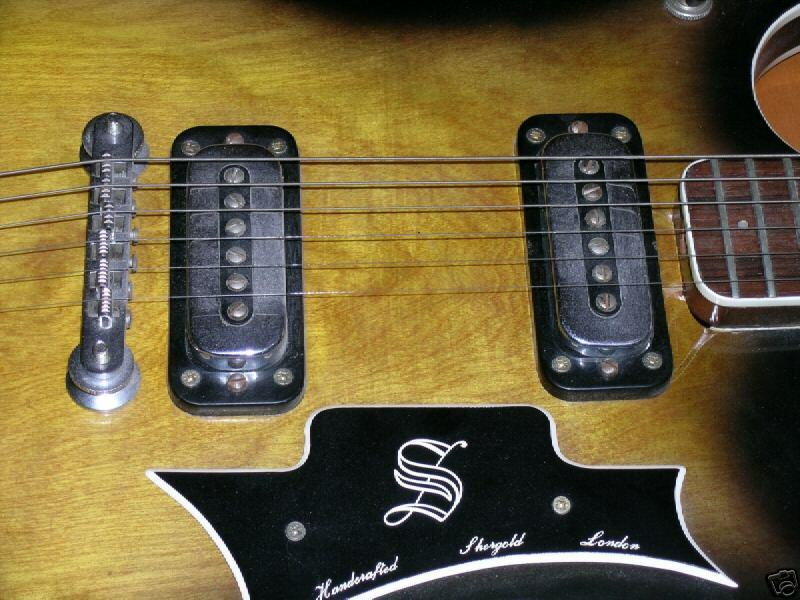 The SG2 boasted a bolt-on sycamore neck and unusually this was secured via three 'mirror' screws, complete with chrome-dome caps. 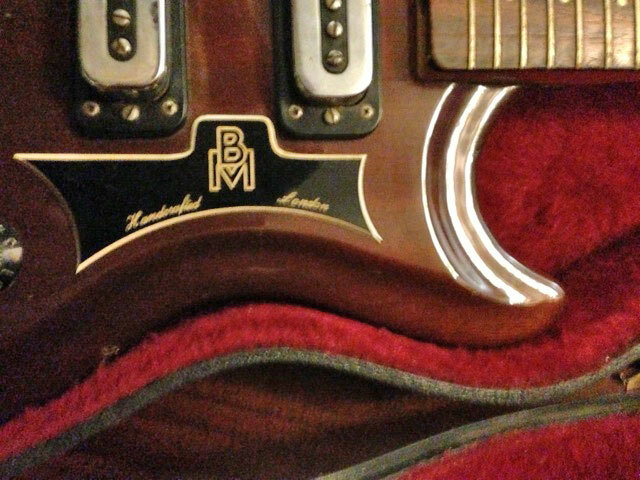 The very obvious 'BM' logos belong to distributors Barnes & Mullins, but the SG2 does not appear to have been an official instrument of this UK company. Barnes & Mullins have confirmed that, although they certainly sold the next generation Shergolds, this earlier model isn't mentioned in any of their literature from the latter '60s. 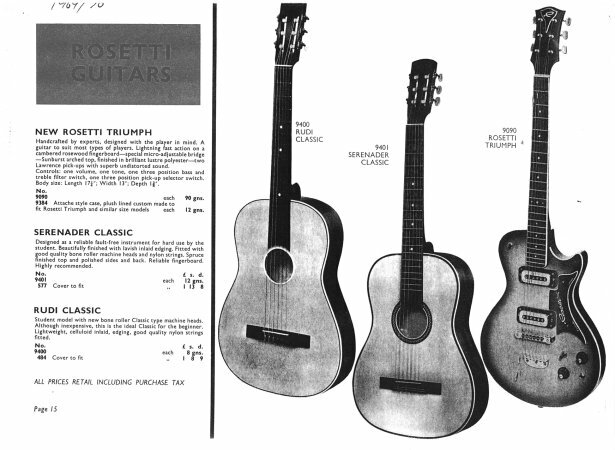 The complete absence of evidence is somewhat surprising, but points to the possibility that the guitar was the prototype for a projected Barnes & Mullins-branded electric. Certain aspects of construction also support such a conclusion. 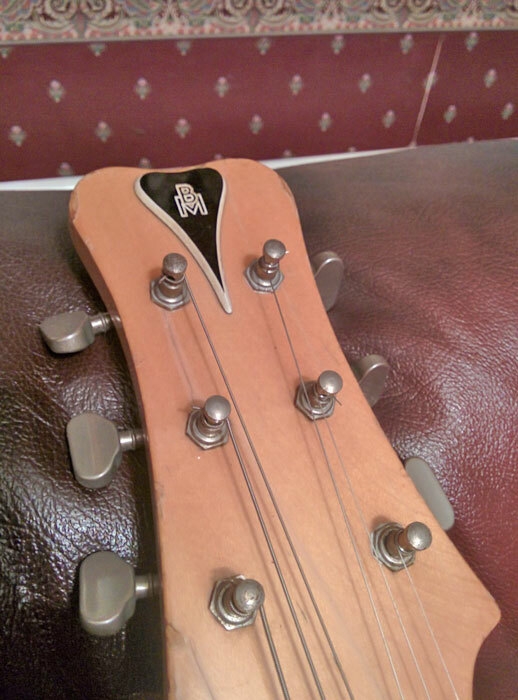 The first concerns the tuners, which have actually been installed upside-down! This fundamental error contradicts the consistent high build quality usually associated with Jack Golder, but wouldn't be considered overly important on an initial sample instrument. 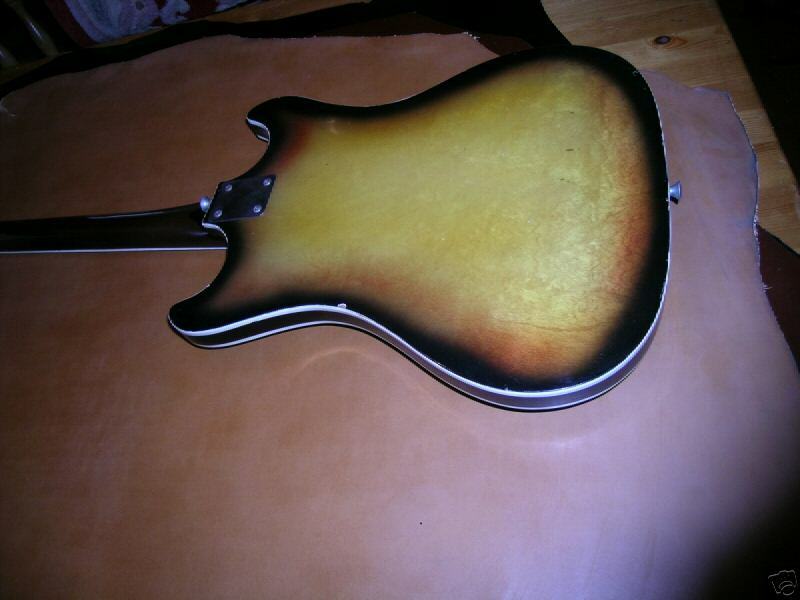 Another clue is the presence of some handwork in the pickup cavities, executed after the body was sprayed and thereby indicating either a routing mistake, or possibly made necessary by a change in the choice of pickup finally utilised. The scarcity factor offers further indication of prototype potential, as so far only one other 'Pie Crust' solid has come to light during the past 40-plus years. Also now residing in the Guy Mackenzie collection, this is an all-orange Shergold version, custom-built by Jack Golder in 1986 using leftover original components, such as the neck, body and hardware. The far more soberly finished BM SG2 may seem less eye-catching, but it's certainly an equally rare bird. Now in excellent, fully restored condition, this represents another fine example of English electric originality. 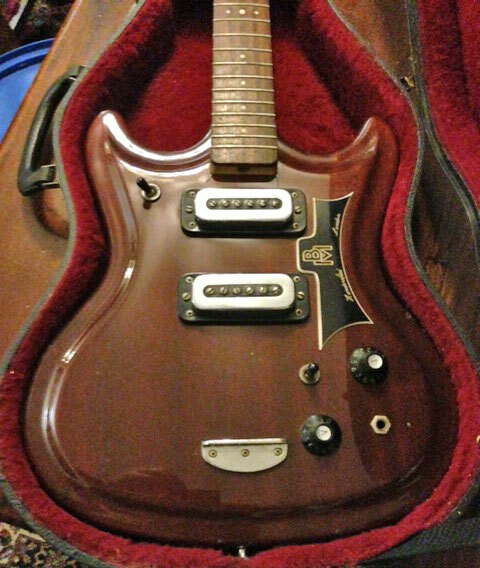 Based on the "piecrust" model built c.1968 for U.K. importers, Barnes & Mullins with Baldwin bridge, Burns fingerboard and Van Gent tuners, this guitar was presented to Paul Day in November 1986.